I find myself faced with a dilemma as a relatively new designer, over whether to offer web hosting to clients or simply point them in the direction of a reliable web host, so I am interested in the thoughts of others. It’s important to know that the web hosting won’t cause problems with your websites. Only yesterday I had to troubleshoot an issue where a video was refusing to play in Safari after I moved to a new web host and it took a whole day to resolve. The thought of being caught in a long argument between a frustrated client and unknown web host is not appealing. I thought about creating a reseller account with the same host, so I keep it all under one roof, but this basically entails running the whole shebang through WHM, while effectively having to deal with irate customers who lost their password at 3.00am. This decision should not be taken lightly for several reasons, not least because of potential legal claims if the host starts having reliability issues. I wasn’t sure which section to put this in, so if general discussion is not right, perhaps Norm can move it elsewhere. I am genuinely interested to hear the thoughts of others though. There are one or two small web hosts who market themselves as being highly compatible with Rapidweaver and there may be an opportunity along these lines for something similar with Blocs. I have done both, and feel that it is important to spell out to clients that you’re not in the hosting business… that you’re happy to host their site on your account, but that you use XYZ Hosting Service. And for these clients, it is important you have something in place should you walk out the door tomorrow and be hit by a bus. For me… I prefer them register their own domain and get there own hosting account. In this case I provide them the files to upload to their host. But for those that want me to do it all, I make it clear that I am not responsible for the level of service supplied by my host… and go out of my way to explain the pros and cons of their service. If a client wants me to “do it all” with their selected host I make it clear I am on the clock when having to deal with them on their behalf, and am not responsible for their level of service. Your not in the hosting business, and have no control over the level of service you may provide in this regard. You can only make a recommendation based on your experience. You just need to make that clear up front. Thanks, that’s a useful perspective and I’m interested in all views. Previously I had a VPS and there was talk of cPanel enabling simple sub accounts that would be ideal for web designers, but after waiting about 18 months without progress I gave up and decided to go for a simple shared hosting account, which has led me to this point. One concern I had with the VPS option would be if a customer started sending spam email through the server, which could impact the standing of all domains with the same IP in theory. I also felt there were too many opportunities to wreak havoc, such as access to FTP etc and then blaming the designer when they mess up. From discussions with others, it seems some clients struggle to understand the line between the work of a web designer and a web host. They have problems after 6 months or a year, so they immediately turn to the designer for a solution, rather than taking it up with the host. The fault may well be down to a change in configuration with the web host, yet they still expect the designer to fix it. At the moment I am edging towards recommending the same host I am currently using and offering to help with the setup process. I’d like it if there was a reseller option that didn’t involve using WHM and simply provided clients with a heavily simplified control panel. Email can be a problem, especially with shared hosting. My host often ends up on “somebody’s” blacklist, and I have recommended some managed email services (mailchimp, etc.) to clients with large, important mail lists. It is important to explain to clients you host on shared hosting that bulk email sent without opt-in lists could result in suspension of their (and YOUR) hosting. Another reason I prefer they get their own hosting account, especially if they have employees that may act ignorantly or irresponsibly. I guess it depends on how you want to market your business. I host all my clients web-sites. Most of my clients do not want to upload or maintain the site. They prefer for me to handle everything. They understand that I have no control over some type of server outage. I’ve had only a few minor outages in the last 10 years and when that has happened I send out a notice that explains what happened and a time frame when it’s expected to be restored. My clients seem to understand. I manage some domain names but I would rather them register and update them. The ones I do manage I bill them directly. I find hosting the site gives me the opportunity to give my clients a better price to build the site as I recoup some money through hosting and maintaining the site. You do make a valid point as what if something was to happen to me. I’ve been tossing that idea around and I’m working on a backup plan. I’m probably a lot smaller that some of you as I don’t do this for a living. I’m retired and use this to make some extra money. It’s definitely worth having some kind of planned advice for clients who might use email for marketing purposes. Something like Mailchimp is the obvious answer, but I can imagine many would be tempted to send out an email from their laptop addressed to 3000 different people. Something I like about my new host is that they use enterprise level anti spam filtering as standard and the email is sent over a different IP from the website. I’ve watched my incoming spam messages drop dramatically compared to my old server. This is really the way it should be done. Unfortunately they don’t supply this email option on reseller accounts and I would basically have to set everything up for clients using WHM. My concern is that one day I’d click an option and basically create havoc, though I could always ask the web host for assistance if I was unsure of something. If you do take responsibility for hosting, I think it would be wise to have some stringent terms and conditions that protect you against any claims. It would be ridiculous if a server went off line and you found yourself facing a claim for loss of business from your client. Another consideration is that you basically need to be reachable at all times and always have internet access. One of the reasons I stuck with my expensive VPS for so long was because I saw frequent problems in the past with shared hosting, because they tend to oversell. In one case my website was typically offline for 30-60 minutes every day, while another host had regular problems with email. The VPS was basically rock solid for the best part of 5 years that I used it. The new host has a 99.9% uptime guarantee and I use CloudFlare for my own websites with page rules to cache everything, so uptime should be 100% most months. I am inclined to think that CloudFlare might be a step too far in terms of complication for most clients and I would certainly charge extra for adding any site to their network. One good thing about static sites from apps like Blocs is that they appear to be fairly tolerant of server configurations, such as PHP versions and I don’t know if that changes when using a CMS like Pulse for example. Freelance web design is a whole new area for me and this question of hosting is something I want to get right from the start. The problem with enterprise level antispam filters is the possibility that you will miss legitimate email, not really an option for business sites. If spam is really a problem you’d be better off changing the address to forward only to a gmail account. 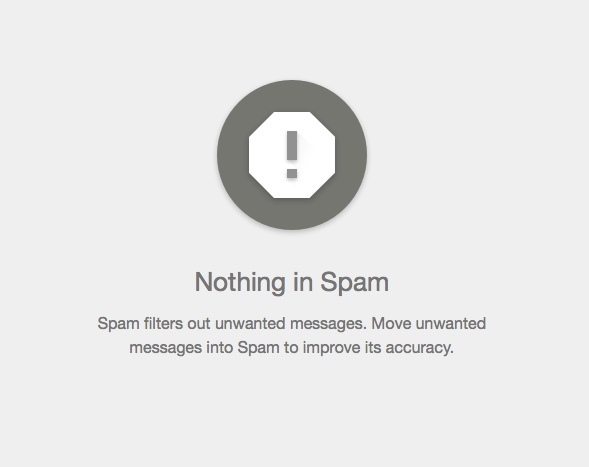 Gmail is KING at detecting spam. And it doesn’t really matter if your host uses a different IP for mail. If the host’s domain is blacklisted anywhere, antispam measures on other domains that subscribe to those blacklists will not receive email… and a bounce might not be sent. Honestly, the current, antiquated state of email has been a mess for a long time. I don’t have the answer… but hosts for anonymous email accounts might be a good place to start. I’ve been a beta tester for SpamSieve going back to 2002. All spam filtering is a compromise, so if it’s too weak you see lots of spam and if it’s too strong you are likely losing important email. Gmail appears to be simply deleting the majority of messages it considers to be spam and that may well include valuable email that you will never know about. I am finding this new system with SpamExperts quite good, because I control the heuristics and decide how aggressive I want that filtering to be. Suspect spam is held in quarantine, so I can check at my own convenience. I also have rules to set up for whitelists, blacklists and prohibited attachment formats. On the rare occasions when it makes a mistake I can upload an email for training. In other words I am not at the mercy of Gmail and what Google decides it wants me to see, but accuracy is rated at better than 99.98%. When I had SpamAssassin on the old server I would still receive at least a dozen spam messages a day and have to rely on SpamSieve to deal with them. Now I’m down to one or two, but I can see exactly what is being blocked on the server. I basically think email needs to be reconfigured from the ground up to make it more secure and completely remove the possibility of spam. I encourage all my clients to do just want you suggested. Create a email associated with your website and have it forwarded to a gmail address. I’ve had a lot of frustration from a few clients that just wanted a inbox with there site. Seems to be always a problem, either dealing with a setup with the platform they use to not managing the alloted space. This is without a dought the easiest solution for me. I just wonder if this makes it tricky for customer to reply though, since all emails are forwarded to another address. Nothing tricky about just forwarding and email. Yes, but if the client hits reply I imagine it will show all the forwarding info unless they strip it out. Also does it reply to the original sender or the Gmail address from where it was forwarded? Yes, it absolutely shows the Gmail address when forwarded. My clients are happy with this setup, and it allows them to use a simple email address associated with the website. I think every type of setup has it’s advantages and disadvantages, I’m just saying this work for me. I’m certainly interested in looking at all options that I can suggest to clients. For my own personal email I’ve always used the address associated with the domain and avoided forwarding. I know you can also ask Gmail to collect email direct from other accounts. I actually do this for an old outlook email address that was never really used much, but linked to a couple of things. This allows me to not include the outlook account in my mail app client and still receive the email. On Monday I have a meeting planned with a local company who are interested in revamping two existing websites that look pretty amateur and I see they are currently using a hotmail address for email, but they must have some sort of hosting worked out already. I just need to work out various solutions going forward. Gmail appears to be simply deleting the majority of messages it considers to be spam and that may well include valuable email that you will never know about. Gmail doesn’t delete anything. It goes into a spam box. Since 2012, I have forwarded several business accounts to gmail that were so spam ridden that they had previously been abandoned. The results have been astonishing. If I go to the spam folder for my Gmail account I can never find more than one or two spam messages, even after a few weeks and I do use that email. It seems highly unlikely that so little spam is being sent to that address. The attachment shows my Gmail spam folder from two minutes ago. There are TONS in mine… and not a SINGLE message of value is there, nor has there been in years. But there’s no point in arguing about it… go with what you believe in. I agree there is no point in arguing and I suspect it will be of little interest to most customers. I’m actually surprised how many well establish small companies use an email address attached to their broadband provider or hotmail etc, even when they have a respectable looking website with a proper domain name. My bigger interest at the moment is in deciding whether to act as a reseller and handle the hosting or not. If I do end up hosting sites for others, it’s important to find the right web host. I want to spend the rest of day hammering out a defined business plan. DreamHost allows you to host an unlimited number of domains. I would definitely consider a partner if you monitor multiple sites 24/7/365. I suggest a webhost and sometimes walk through the customer signup. When the site is finished I upload to their host. If need be I’ll set up an email account for them on their webhost. I have several clients who have had sites built by small agencies and they had their domains set up by them and lost control. I’d rather not be involved in web hosting hassles for a tiny amount of money. For all my clients, just about any webhost will work fine.